We've just about come down from the two week's worth of excitement this year's TT provided us with. 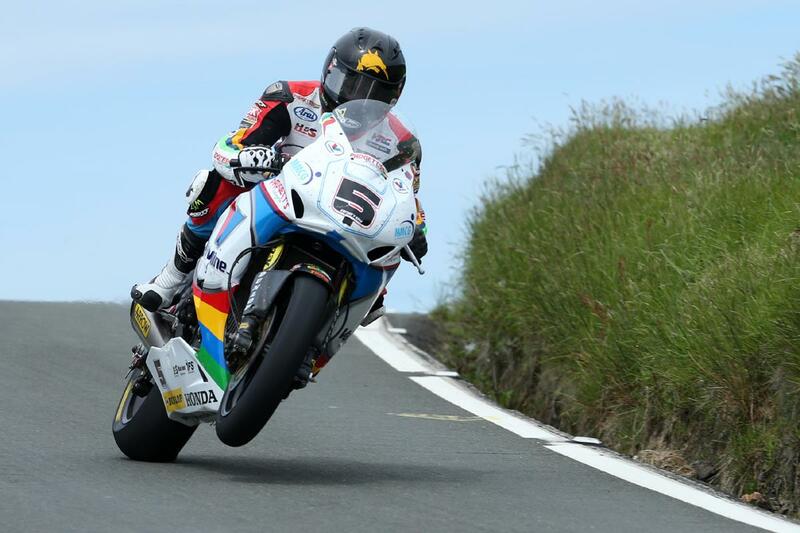 The history makers and record breakers continue to deliver year-in-year-out and the 2014 TT was no exception, with Bruce Anstey setting a new lap record of 132.298mph in the Superbike race. We’ve taken a look back through recent history at the men and the races that make the Isle of Man TT truly great. Steve Hislop won his first TT, the Formula Two, in 1987 and, having been snapped up by Honda for the 1988 event, he immediately repaid them by winning the Production B race. But it was his second place in the Senior – and 118mph+ lap – that placed him amongst the favourites for 1989 and when Joey Dunlop got injured he was promoted to Honda’s number one rider. Although he had a moment when he mounted the kerb at Kirk Michael, he ran out a clear winner with an advantage of 1 minute 42 seconds over team-mate Brian Morrison. Hislop v Foggy: greatest race of all time? For the 1992 race Hislop swapped from a 750cc Yamaha to a 588cc Norton on the eve of the event and Fogarty ditched his Ducati to replace Hislop on the OW01 Yamaha. Fogarty had led the F1 race at the beginning of the week before retiring on the fifth lap, whilst Hislop finished second, and the duo both had something to prove coming into the six-lap Senior. What followed was, arguably, the greatest-ever TT as the two fought tooth and nail for the entire distance. At the end of the first lap Foggy led Hislop by 1.2s, but the Scot had turned this deficit into a 2.8s advantage as they came in at the end of lap two for their first refuelling stop. But by half race distance, the lead had changed again with Foggy now edging ahead. Lap four looked like it was the defining moment as Hislop motored into a 7.4s lead. The lead didn’t change on the fifth and penultimate lap, although Fogarty had managed to narrow the gap by two seconds. Riding harder than they’d ever gone before, the pair set their personal best laps on the final circulation with both inside the outright lap record. Fogarty was the quicker of the two at 123.61mph, with Hislop just a second slower, and that meant he took victory by 4.4s to give Norton their first Senior TT win since 1961. Having spearheaded Honda’s attack for the first half of the 1990s, Ulster’s Phillip McCallen swept all before him in 1996, becoming the first man to take four wins in a week. Riding the 750cc Honda RC45, McCallen took the F1 and Superbike races, and added the Junior and re-introduced Production to his haul. Three more victories followed a year later to leave him with a career total of 11. After two third place finishes in the 1997 and 1998 Lightweight 250cc races, John McGuinness came into his fourth TT in 1999 having won the Daytona 250cc race and leading the British Championship. Riding a Vimto Honda, McGuinness led from start-to-finish to win his first TT, and broke Ian Lougher’s nine-year-old class lap record with a lap of 118.29mph (which remained unbroken when the class was dropped after the 2002 event). Even more significant than McGuinness’s debut win in 1999, was the performance of David Jefferies. Like McGuinness, the burly Yorkshire rider made his TT debut in 1996 and a brace of fourths and a 120mph lap in 1998 put him on the map. Switching to V&M Yamaha, Jefferies dominated the North West 200 and went on to do the same at the 1999 TT, taking the F1, Superstock and Senior race victories. Joey rolled back the years in 2000 when, at the age of 48, he took a hat-trick of victories for the first time since 1988 to bring his total to a staggering 26. Whilst his 125cc and 250cc victories may have been expected, the same couldn’t be said for the F1 which he hadn’t won since 1988. Riding the new Honda SP-1, complete with WSB-spec V-twin engine, the Ballymoney publican was embroiled in a tussle with new kid on the block Jefferies for the first four laps. There was only half a second between them as they pitted for the second time and when DJ went out at Ballig, Dunlop swept home for a majestic victory. The Ulsterman also finished third in the final race of the week, the Senior, where he set his best ever lap of the Mountain Course. Sadly on July 2, less than four weeks later, he was killed in a meeting at Tallinn, Estonia. Having taken six wins in two years for V&M Yamaha, Jefferies made the switch to TAS Suzuki for 2002 but he went quicker still and increased his own outright lap record to 127.29mph. With victories in the F1, Superstock and Senior races, it was Jefferies’ third Isle of Man TT hat-trick and left everyone wondering just how many races he could win and how many more records he’d break on the Island. Sadly, we wouldn’t find out as DJ was killed instantly in practice just a year later. After a long absence from racing, an official Triumph team returned to the TT in 2003 with John McGuinness, Jim Moodie and Bruce Anstey riding for the ValMoto squad. Whilst they were expecting to be competitive, few could have expected what lay ahead as Kiwi Anstey led from start to finish to win by 11 seconds and give the British manufacturer their first TT win in almost three decades. Having already won the Superbike race at the beginning of the week, much was expected of John McGuinness and his HM Plant Honda coming into the 2007 Senior, the closing race of the prestigious Centenary TT. The Morecambe Missle didn’t disappoint and set the island alight when he not only led the race from start to finish but also became the first man to break the magical 130mph barrier around the 37.73-mile circuit. But that wasn’t the end to McGuinness’s incredible achievements that year – a second lap speed of 130.354mph sent him into the record books once more. Ian Hutchinson joined the Padgetts Honda team for the 2009 season and it was a partnership that gelled immediately with a double victory at that year’s TT the highlight. The Yorkshire rider stayed with the team for 2010 and after a strong showing at the North West 200 the rest, as they say, is history. Race week started perfectly for Hutchy with victories in the first three solo events, the Superbike, Supersport and Superstock TTs, becoming one of the select riders to have achieved three victories in a week at the meeting. In the second Supersport race, Hutchinson equalled the 1996 record set by Phillip McCallen by winning his fourth race of the week after another close encounter, this time edging out Michael Dunlop by 1.5s as they both smashed the class lap record. To top it all, Hutchy then broke McCallen’s record after completing the clean sweep in a re-run, shortened Senior TT. With the fastest lap of his TT career, 131.487mph, Hutchinson took full advantage to win the race by 37 seconds from Ryan Farquhar to achieve a feat no-one thought would ever happen. Hutchy is now back to fitness after a horror crash at Silverstone in 2010 forced him to endure a string of operations as surgeons battled to save his leg from amputation. After a double victory in 2012, John McGuinness was again the man to beat in 2013 but a slow start to the Superbike race left him back in fourth, a situation made worse when he was given a 30s penalty for speeding in pit lane. However, riding in tribute Joey Dunlop livery, the Morecambe Missile called upon all his talent and experience and a final lap of 131.671mph broke his four-year-old outright lap record and saw him claim third place. He ended race week with a start to finish victory in the Senior for his 20th TT win. With three wins already under his belt, when Michael Dunlop signed for Honda for the 2013 season, it was expected to propel him to new heights at the TT. The confident 25-year-old Ulsterman duly delivered and took his first ‘big bike’ win in the opening Superbike race before making it two wins from two starts in the first Supersport event. Two more record-breaking rides followed in the Superstock and second Supersport race to leave many asking if he could match Hutchinson’s five-timer of 2010. However, Dunlop opted out of the Lightweight event and had to give second best to team-mate John McGuinness in the Senior but with four wins and a second Dunlop was the clear rider of the week.